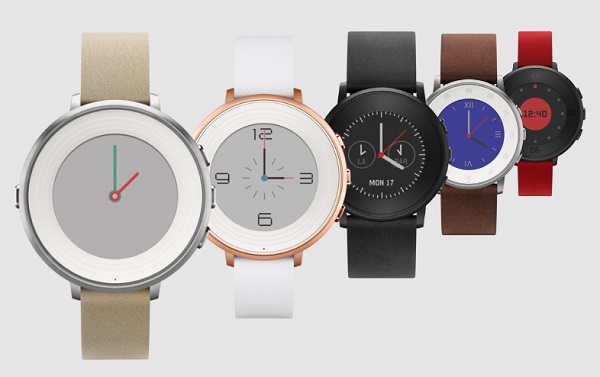 Pebble Time Round smartwatch launched as world's lightest (28g) and thinnest (7.5mm) smartwatch. Pebble today launches its first circular smartwatch, the Pebble Time Round. Pebble Time Round is also the world's lightest (28g) and thinnest (7.5mm) smartwatch. Pebble Time Round starts at $249 and can be reserved at Pebble.com (shipping worldwide), Best Buy, Target, and Amazon. Watches start shipping and will be available at US and Canadian retailers in early November. Retail availability in the UK will begin later this year, followed by EU retailers in early 2016.